From time to time I make dishes using fenugreek ("methi " in Hindi) leaves. 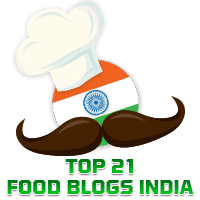 You will find, for example, elsewhere in this blog recipes for Paneer Methi Chaman, Methi Mutter Pasanda, and Methi Sanna Polo. Recently this easy to make and healthy dish made with Methi Seeds was shared by my friend, Sarojini Kini in a cooking group in which we are members. I have used my own measurements for the ingredients. I was happy to find that sprouted methi ( fenugreek) seeds have many health benefits. Methi seeds generally have a slightly bitter taste but in this dish any bitterness is off set by soaking and sprouting them as also by the use of onions and jaggery. We had this with rotis and it tasted excellent. Soak the methi seeds overnight or for 8-10 hours. Drain the water the next day and keep the methi seeds in a wet muslin cloth for it to germinate. Check the moistness of the muslin cloth once in a few hours. If the muslin cloth is not wet enough, sprinkle a little water whenever required to keep it moist. On the third day, you will find that the methi seeds have sprouted. Heat oil in a kadhai and when it gets hot add the mustard seeds and when they splutter add the asafoetida, followed by the chopped onion.